Lend yourself a helping hand. With Thanksgiving coming up in just a few days, your to-do list is a mile long. Let your tools do some of the work for you this holiday season. 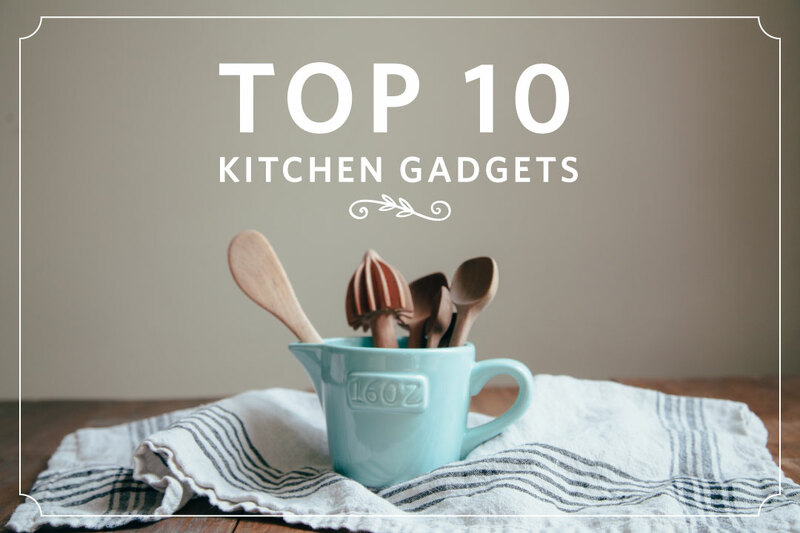 We picked out our ten favorite kitchen helpers. Did you know they make measuring spoons specifically designed to fit in spice jars? How about a bottle with recipes for eight different dressing recipes printed on its side? And don’t even get us started on how Magic Soap banishes onion and garlic odors from your hands. These essential tools take care of practically everything except the grocery shopping. 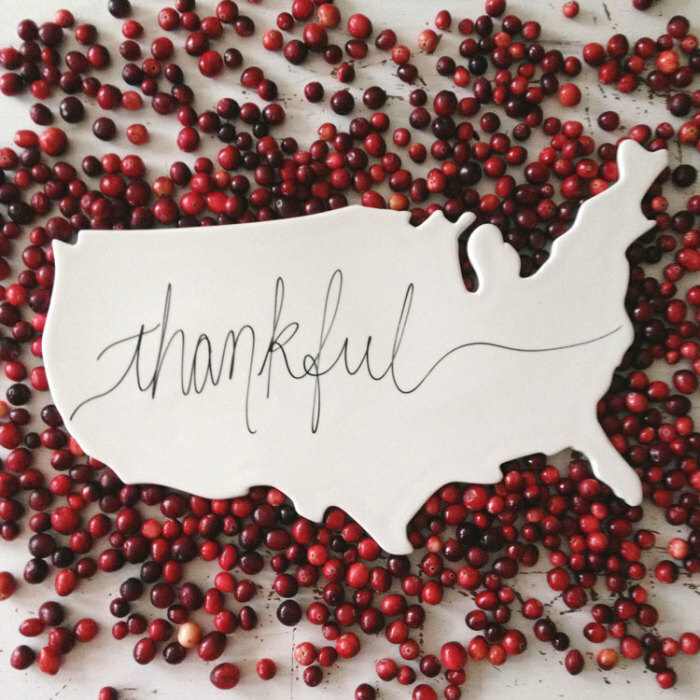 Read on to see the full list and have a relaxing turkey day! Ah, the dreaded holiday wine pairing. So many rich foods and flavors, not to mention pressure to impress your guests! Rest easy, we did the work for you this year. Pinot Noir is one of the most food-friendly varietals. As a low tannin red wine, it is gentle enough on the palate to let your cooking shine through without getting lost in the mix like many white wines do. 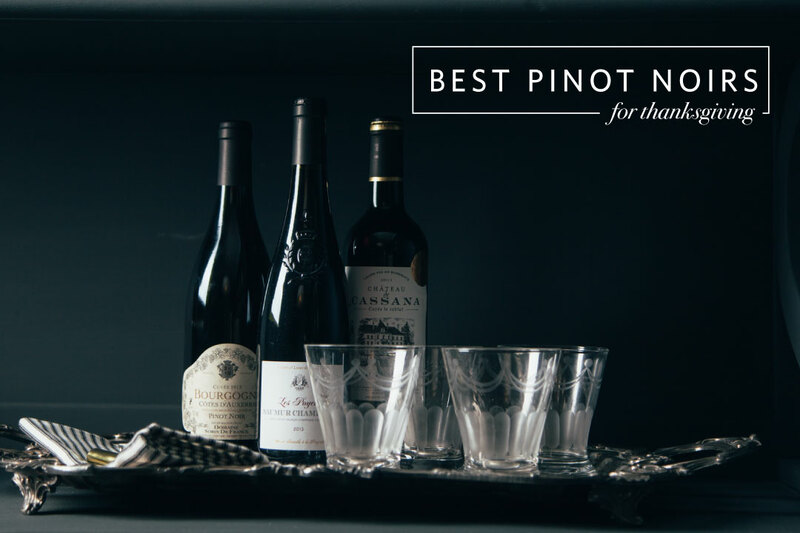 Read on to get our top five bottles of Pinot, along with some tasting notes to show off your newfound wine knowledge. Now you just need to tackle roasting that turkey! Add a little drama to the dining room. Fall can be a tricky season when setting up your kitchen decor. Orange hues bring to mind Halloween, red feels like Christmas, and gold is practically everywhere these days. 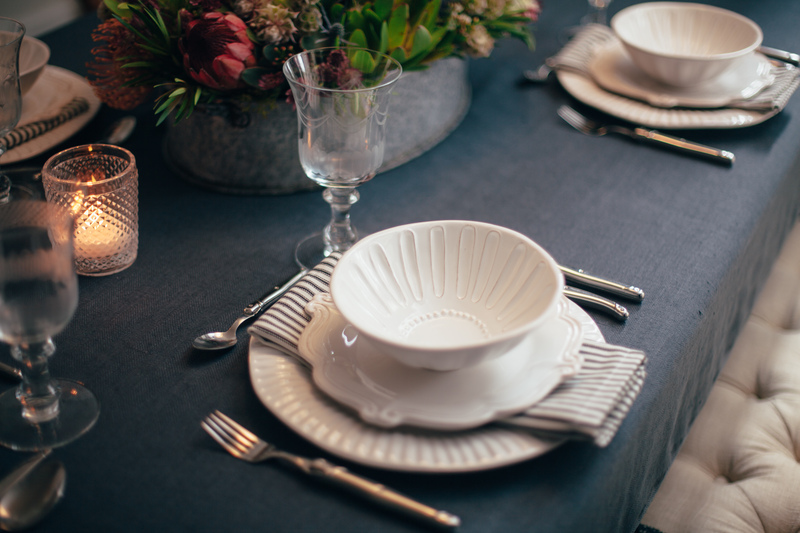 That’s why we decided to go with a low-key, yet rich and dramatic look for our autumn tablescape. Dusky blues, flickering candles, and embellished white dinnerware bring opulent flair, while classic Laguiole flatware and ticking stripe napkins keep things casual. Get your Staub dutch oven on the stove, then get this beautiful look at home! 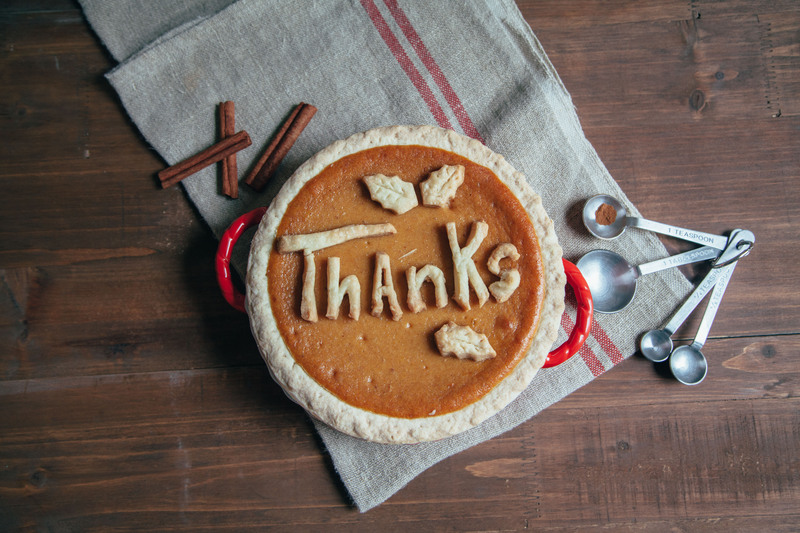 We wanted to take a moment to wish all of our customers a very happy Thanksgiving. 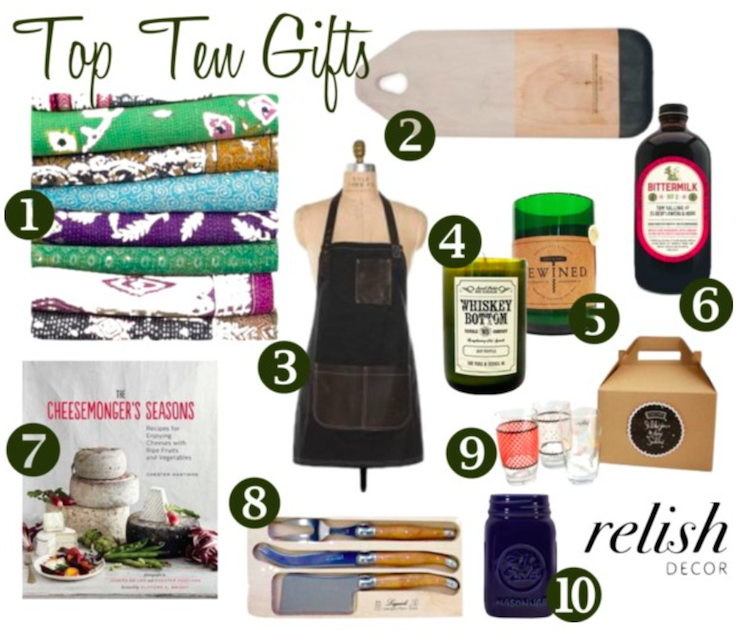 Without you, Relish Decor wouldn’t be possible. Thanks for allowing us to be a part of your home this holiday season. We look forward to sharing many memories with you in the future.